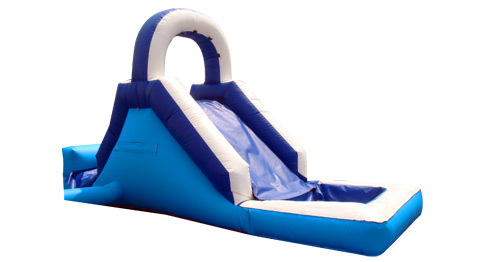 This great and affordable Water Slide is perfect for little kids. It's smaller than our regular Water Slide, and you need a faucet within 50 feet. It's a great choice for kids up to 6 years old. It can NOT be set up on dirt or sand (grass or cement only). Water slide was a big hit for 4th party. Excellent service. Friendly, efficient and a good price. Thanks. This slide was a hit at my sons 7th birthday party. It was the perfect size and entertained the boys for hours. Delivery and pick up was fast and professional. Wonderful Experience - Courteous and polite staff. Efficient set up and take down. Great product - 5 to 8 year olds loved it. Extremely reasonable prices and delivery fee. Thank you - will choose you time and time again. It was a big hit! The kids enjoyed it!